The retrograde of Jupiter will be for 123 days. Jupiter shows slow movement before entering into the retrograde zone. It retards its speed in the forward direction and then pauses for a while to enter the retrograde. After August 11, Jupiter will leave its retrograde zone and move into the forward direction or progressive zone. 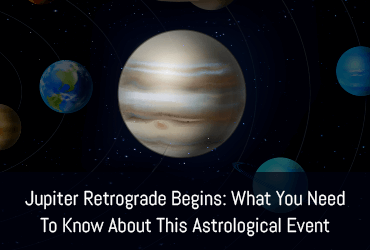 Being the largest planet of the solar system, the effects of Jupiter retrograde will also be huge and will take you into spiritual introspection. Jupiter is the ruling planet of Sagittarius and Pisces and this time it is retrograding in its own zodiac which is great news for the millennials. Jupiter is associated with honesty, goodness, spirituality, and power of knowledge. This will be the time when you would require to think of different aspects of life and evaluate what is your life’s ultimate purpose. Jupiter will impact your conscious to analyze your ethics and morals and give them a strong ground. It will help you to observe what went wrong with past ventures and what can be done to make things go right in the future. The retrograde of Jupiter in Sagittarius will bring unexpected and strange things in a light which would demand you to act with justice and fairness in your deeds. This would be the time when people will feel the need to improve themselves, spiritually, mentally and physically. Jupiter is the ruler of Sagittarius and Pisces, which means it brings the possibilities of travel to far destinations. But in the retrograde period, you will find your travel plans getting delayed or canceled. Though, you can use this period to make new travel plans and think of high learning possibilities in the future. Due to the influence of Jupiter, you might experience the enhancement of your mental ability and intellectualness which will help you plan well for higher studies. Sagittarius is symbolized by the Archer which denotes a go-getting attitude and facilitates achievement of goals. However, it will go completely opposite in the retrograde period of Jupiter. You may get hardships in the way to reach your goals and might meet disappointments. 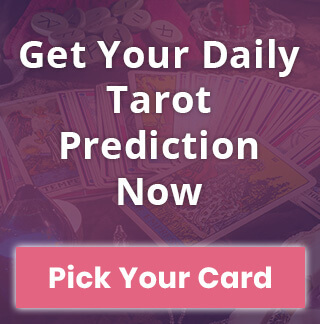 Jupiter will compel you to give thoughts to your goals and examine the roadblocks on the road to success. The retrograde of Jupiter is not favorable for business and career. Expenses may go higher and investment may not return good profits. You might feel that hard work is not sufficient and competition around may seem tougher. It does not indicate bad luck or failure. Instead, it will make you focus on your spiritual powers and enhance the vision to see things on a broader perspective. Jupiter denotes expression or speech. You may feel empowered while communicating with your boss or higher authority and make more friends at the workplace. It is a period of calmness and peace in life. It neither restricts good things to happen nor gets chaos in life. Retrograde is more a time of conception instead of implementation. So, it is not beneficial to start implementing any new ideas or go for any new ventures. However, you might lay the foundation of a new idea. It is more a period of streamlining your ideas and putting them for implementation when the time is right. In the context of health, it is a period of focusing on strict diet plans and working out for mental and physical fitness. It would be a good idea to manage a diet chart in this period of self-development. During this transit, the natives may find their soul guiding them to be more mature and deal with people patiently. It is not better to force anything during this duration but try and stay in harmony and peace. As the retrograde is slow you may not find quick changes but everything will unfold with time. Retrograde of Jupiter is the time for unexpected good happenings. 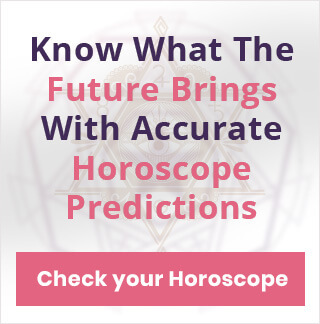 This would be the time for planning, so think over your possibilities according to daily horoscope prediction and make yourself ready for new happenings.